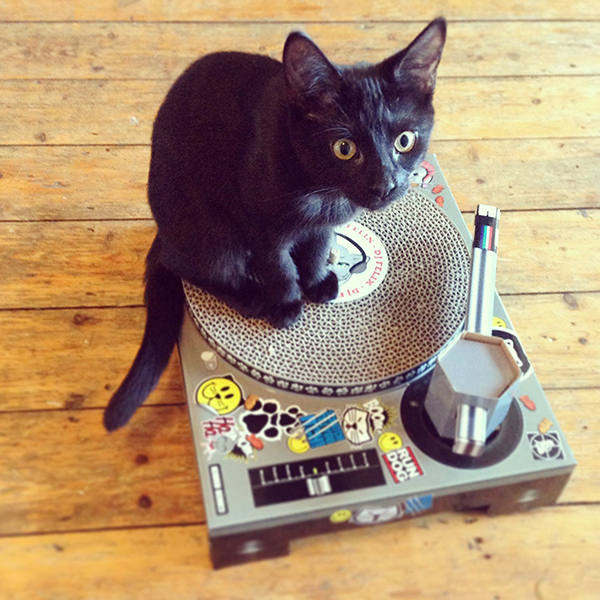 DJ Furball is in the house! 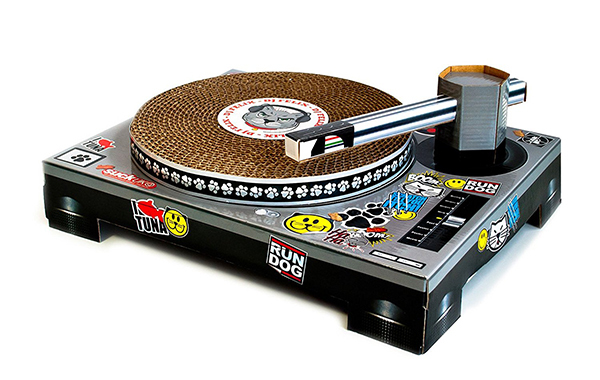 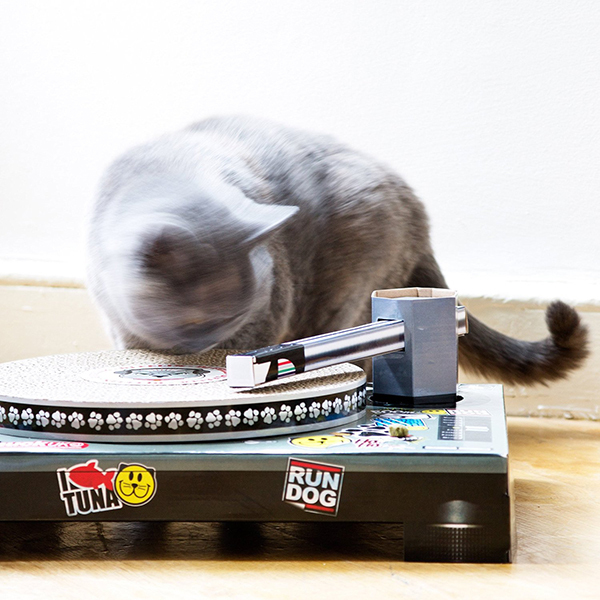 Instead of scratching all of your records, your cat can scratch this turntable. 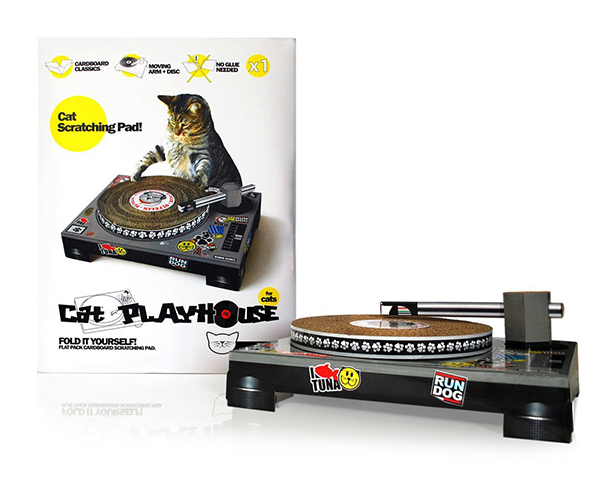 The record is made of claw-friendly cardboard. 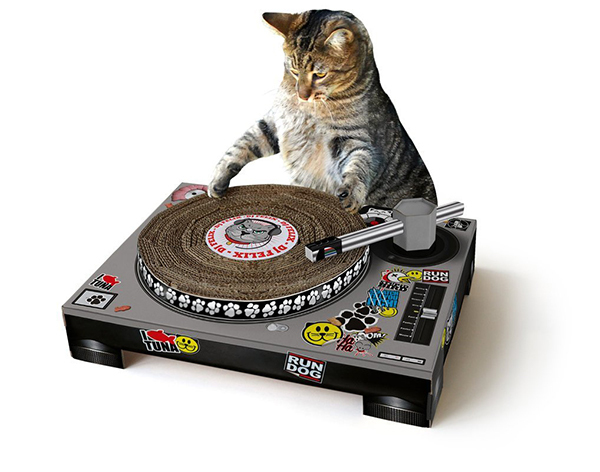 Comes complete with illustrated, easy to follow instructions. 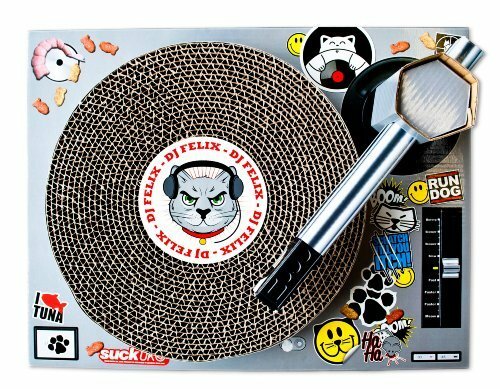 A fun addition to any cat loving household!